Before our stuff arrived in Boston, I was living out of my suitcase packed with about two weeks of clothes. 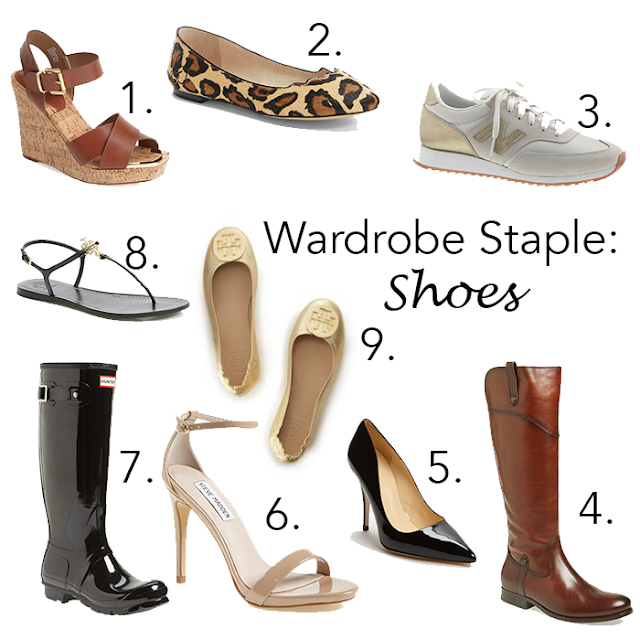 This was a total eye opener for me in more ways than one, and has inspired me to write this series of posts about wardrobe staples I think every woman should have in her closet. Now what I'm about to say makes me feel almost sinful, but I honestly didn't miss the rest of my clothes. Don't get me wrong, I love a good shopping spree as much as the next girl, but when you have the right things in your closet it can make life much, much easier. Some of these pieces are definitely investments, but I promise you they will last you multiple years and are well worth the money you'll spend on them. I recommend building your wardrobe staples over time, and definitely taking advantage of finding them in sales when you can! So, what are your wardrobe staples?